Latin OWL is an iOS app for the iPhone, which I have made, and that you can download for free from the iTunes Store. The program is copyright 2013 Scot Mcphee. Can’t work out the root form of a irregular Latin conjugation? Confused as to whether it’s a 3rd declension neuter plural or a 1st declension feminine ablative .. or even nominative? Is that 1st/2nd pl. dative or ablative, or a 3rd m/f sing. genitive? Know how to parse the form, but don’t know the vocabulary? There’s an app that that! The Latin Online Word Lookup (LatinOWL) is an iOS app that, by using data from the Perseus Latin Word Tool, allows a user to lookup any Latin word, locate the root (i.e. the nominative singular for nouns and adjectives or the 1st person singular present active indicative for verbs), and parse the entered form. It gives all possible forms for the word entered. The tool then links the root(s) to the online Lewis & Short dictionary from Perseus, and also from that dictionary, provides links to the works in the Perseus database that are quoted in the dictionary. You can download it from the iTunes App Store for free by clicking on the icon above or by using this link: LatinOWL in the iTunes AppStore (this link should redirect you to your regional store, where you will be able to download it). There won’t be an Android version, I’m not interested in developing for Android. You can build your own, off my source code (see below). This blog will host free downloads of pdfs of vocabulary lists I made (and occasionally still do) for Classical texts. They are always line-by-line, and I hope will make it easier for more people to read more Latin and Greek, which are awesome languages with awesome things written in them. If you see any typos, please post a comment. I had a series of short articles about Lucretius in the Guardian, all of which can be found at http://www.guardian.co.uk/profile/emma-woolerton. 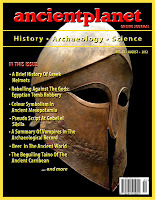 Welcome to the AncientPlanet, a bi-monthly online journal featuring original research papers on history, archaeology and science. The purpose of this publication is twofold. In the first instance, it is intended to provide a platform for both professional academics and students to present their research to the wider public. As such, we welcome contributions from individuals from all walks of life, whether undergraduates, postgraduates, academics, museum staff.. and also from the general public. We at AncientPlanet are dedicated to this axiom… to preserve and foster a greater understanding of our planet’s past, to protect and preserve our planet’s future. Modern technology in general, digital in particular, have added new dimensions as well as more sophisticated vocational requirements to the field of Library and Information Science, from which researches and knowledge lovers benefit. Amidst this tremendous quantity of forms of the technological revolution, it was natural for the Bibliotheca Alexandrina to adopt the concept of digital publication in order to make it available to researchers interested in science and knowledge. This, in turn, is what propels the Calligraphy Center to provide the study of inscriptions, calligraphy, and writings of the world across the ages from the prehistoric age until now with a new approach and vision. From this premise, the idea of the Digital Library of Inscriptions and Calligraphies was generated. 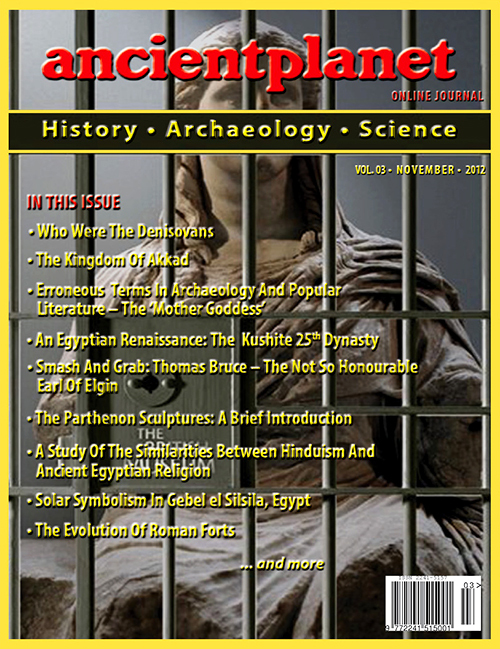 This project comes at the head of the Center of the Studies of Writings and Calligraphy’s objectives, which has taken upon itself the publication of different inscriptions and writings; in particular, inscriptions in different languages and writings from Egypt and abroad, which the center has made available to scientists, researchers, and amateurs in a simplified digital content through the website. The project of the Digital Library of Inscriptions and Calligraphies is considered a digital record for writings carved on buildings and archaeological remains across the ages. 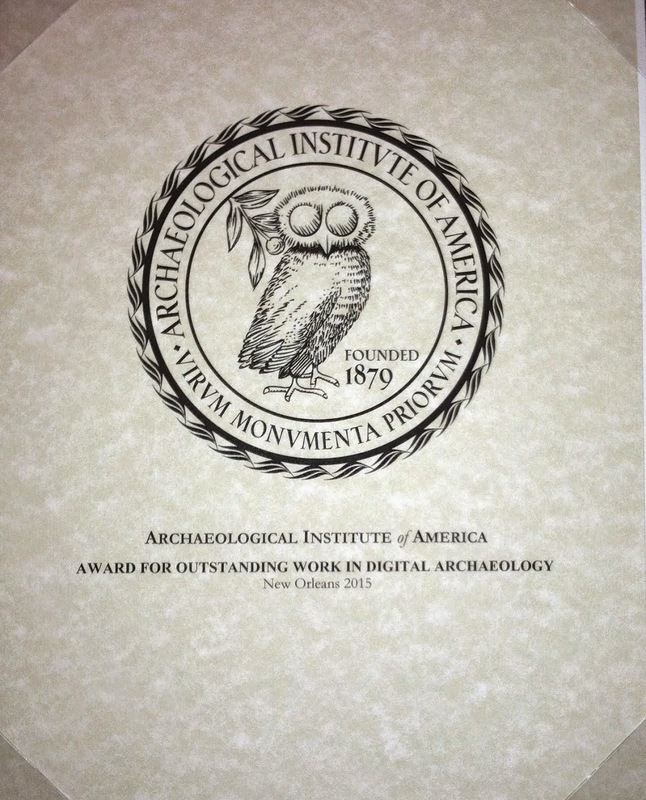 These inscriptions are presented to the user in a digital form, including a synopsis of the inscription’s data, photos, and a record of the writing’s it bears . The project has been adopted in the present time to record a group of languages in numerous scripts, including Ancient Egyptian, Arabic, Persian, Turkish, and Greek; developing the inscriptions of each script separately, and recording a new group of other languages’ scripts. The basic data and detailed descriptions of these inscriptions are displayed in two languages: Arabic and English. Project organizers were keen to build a flexible, user-friendly website for the Digital Library of Inscriptions and Calligraphies in order to enable a large number of researchers to benefit from the gems of archaeological written inscriptions and further browse the images and references of each inscription separately. The inscriptions can be easily browsed by language, or the classification of the inscription; architecture, arts, or sculpture as well as the type of the archaeological remain. It is possible to find a specific inscription using the advanced search feature which allows the user to search by the artifact’s number, place of preservation, or place of discovery, and also by the period of time to which the written inscription belongs. At this moment, the researcher will find all the information related to the archaeological remain accompanied with high-quality images, analysis of the written inscription, information and a descriptive synopsis of the remain as well as a translation of the inscription. The Calligraphy Center aspires to make the Digital Library of Inscriptions one of the most important digital libraries specializing in the field of inscriptions and writings on the internet. And see also the full list of Digital Projects of the Bibliotheca Alexandrina. The default view of digitized books in AMAR is page view. However, by choosing the Complete Print Version from the View drop-down screen located in the upper left hand corner of the individual item screen, a complete print version is generated in PDF format. We are pleased to announce that the educational pages of the Cuneiform Digital Library Initiative, the cdli:wiki, now hosted at the University of Oxford, have been significantly updated over the last few months. cdli:wiki remains the host for a great number of tools for Assyriology developed and written by staff of the cdli at UCLA, Oxford, and the MPIWG Berlin. In particular the Abbreviations for Assyriology page that has been widely cited in recent years, remains accessible with us, and we are happy to enter new recommendations or make corrections in our files. We have added two other bibliographical tools, "RecentPublications in Assyriology" with abstracts and links to published TOC's, and a "Bibliography of Sumerian Literature, derived from the Oxford project "Electronic Text Corpus of Sumerian Literature". When the CDLI inherited the Mesopotamian Year-Names project of Peter Damerow and Marcel Sigrist, that in the meantime has been expanded, and for many Lagash II and Ur III year names corrected by Richard Firth, we decided to incorporate this work into a broader presentation of the chronology of Mesopotamia. The list of Assyrian limmu officials now reaches from 1972 BC to shortly before year 1000 BC (the electronic Old Assyrian limmu list was provided by Gojko Barjamovich and Thomas Hertel). We are in the process of linking this list to the data of the CDLI project, and expect to add neo-Assyrian limmu names in the near future. Among the lists of year names, the Ur III Dynasty remains the best covered in cdli:wiki. Our writing systems pages, under development as well, will host sign lists and information about the different writing systems attested in the ancient Near East. Finally, our list of the "One Hundred Most Important Cuneiform Objects", that attempts to draw the attention of students and informal learners to particularly significant texts, has already received some publicity on this list. As always, we encourage comments, additions, and corrections to this webpage as well as to any of the other components that make up our educational and research tools initiative. And see now also here. The Institute for Antiquity and Christianity is a center for basic research on the origins and meaning of the cultural heritage of Western civilization. It is operated by the Claremont Graduate School, collaborating with the School of Theology, and in association with the five undergraduate colleges in the Claremont cluster. 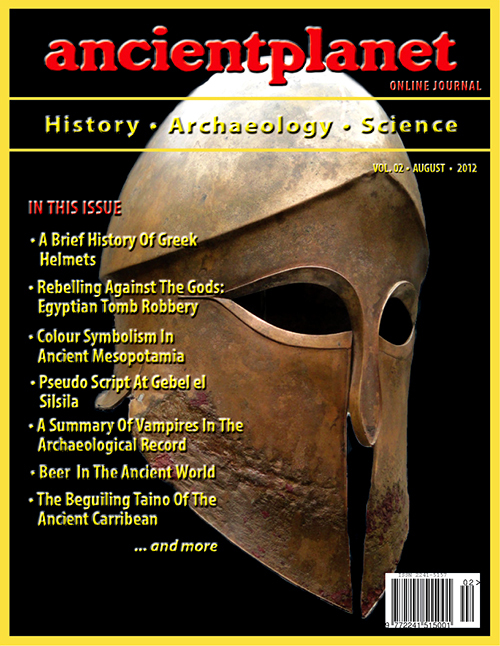 The Bulletin of the Institute for Antiquity and Christianity is published periodically under the auspices of the Society for Antiquity and Christianity for the general information of persons interested in the research programs of the Institute. Greek and Roman Musical Studies is a new journal that will publish research papers in the fields of ancient Greek and Roman music, including musical theory, musical archaeology and musical iconography in Classical antiquity, as well as on its reception in later times. This new journal from Brill has its initial issue online open access (for now). Power, T. 2010. The Culture of Kitharôidia. Cambridge, Mass., Harvard University Press. xiv, 638 pp. Pr. $18.95 (pb). ISBN 9780674021389. Mission archéologique franco-ouzbèque de Bactriane septentrionale : Rapport 13 (2005). Leriche P., Pidaev S. R., Boniteau J., Fantin R., Houal J.-B., Juhel K., Moustafakoulov S., Mouradova D.H., Pérou M.-O., Pézier A. Mission archéologique franco-ouzbèque de Bactriane septentrionale : Rapport 12 (2004). Leriche P., Pidaev S. R., Appert S., D'Alascio H., Gnat A., Houal J.-B., Mouradova D.H., Moustafakoulov S., Pézier A., Scherrer-Schaub C.
Mission archéologique franco-ouzbèque de Bactriane septentrionale : Rapport 11 (2003). Mission archéologique franco-ouzbèque de Bactriane septentrionale. Rapport 10 (2002). Mission archéologique franco-ouzbèque de Bactriane septentrionale : Rapport 9 (2001). Leriche P., Pidaev S. R., Gavison S., Genequand D., Ploquin A., Stride S.
Mission archéologique franco-ouzbèque de Bactriane septentrionale : Rapport 8 (2000). Leriche P., Pidaev S. R., Monik K., Kazim A. Mission archéologique franco-ouzbèque de Bactriane septentrionale : Rapport 7 (1999). Leriche P., Pidaev S. R., Gentelle P., Kazim A. Mission archéologique franco-ouzbèque de Bactriane septentrionale : Rapport 5 (1997). Leriche P., Pidaev S. R., Gentelle P.
Mission archéologique franco-ouzbèque de Bactriane septentrionale : Rapport 3 (1995). Mission archéologique franco-ouzbèque de Bactriane septentrionale : Rapport 2 (1994). Mission archéologique franco-ouzbèque de Bactriane du Nord. Rapport 1 (1993). 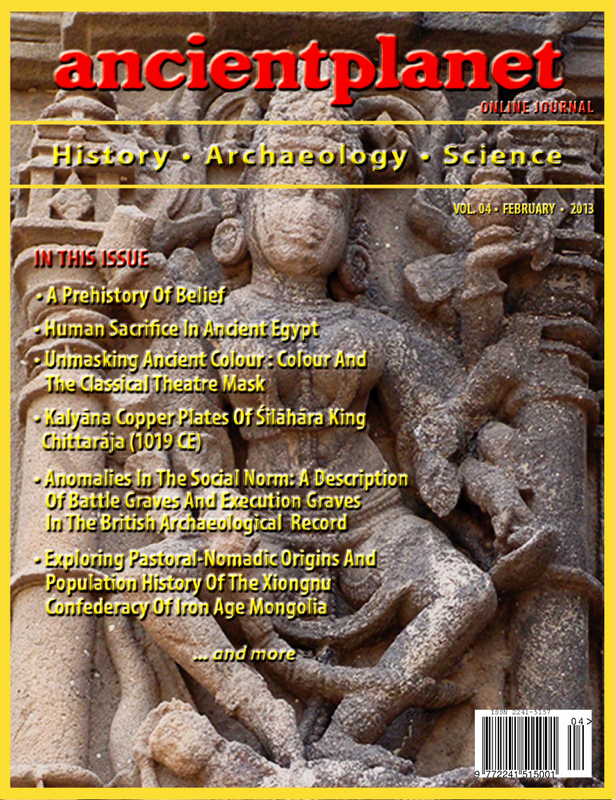 Kubaba is a journal which specializes in the Pre-Classical world, namely the Ancient Near East and Eastern Mediterranean, and publishes articles, notes, news and reviews. Contributions may come from a wide range of disciplines, including Anthropology, Archaeology, Epigraphy, History, Historical Linguistics, inter alia. Interdisciplinary approaches are welcome. Contributions should address the period from the emergence of writing and complex societies (4th millennium BCE) down to the beginnings of the Classical Era. 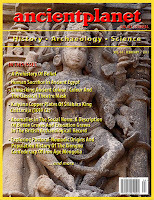 The geographical scope of the journal encompasses the Ancient Near East, including the Aegean, Cyprus and the Caucasus. Pre-Islamic Arabia is also included. Kubaba seeks furthermore to explore the interaction between these areas and other Mediterranean or Eurasian contexts. Articles from both professional scholars and young researchers are eligible. The accepted languages are Portuguese, English, Spanish, Italian and French. 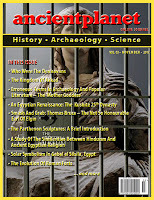 ▪ Brent Davis: Cypro-Minoan in Philistia? In the countries of South-Eastern Europe, ancient philosophy is often seen to be at the root of national traditions and achievements. Ancient philosophy is therefore intensely studied in these countries, but results are rarely shared outside the national boundaries. 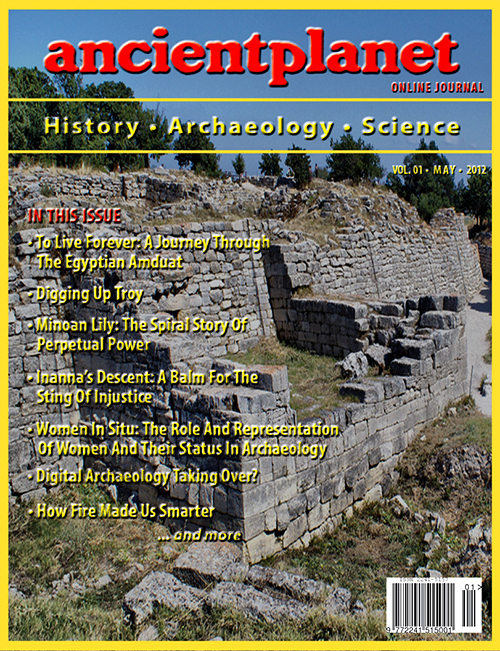 The new journal for ancient philosophy and science, Rhizai, is launched by scholars from South-Eastern Europe with the aim of promoting academic co-operation in the region and improving connections with international scholarship. Rhizai will be published twice a year under the editorship of Ivan Christov, University of Plovdiv, Bulgaria. Contributions in all fields of ancient philosophy and science are invited. Papers and book-reviews will be published in English, German, French and Italian. Manuscripts should be typed in double-spacing with wide margins. Footnotes should be collected at the end, with personal details enclosed on a separate sheet. Contributions sent by e-mail are welcome. They should be sent as e-mail attachments in MS Word or rich text format. Contributions in electronic form will be prepared for blind review by the editor. MesoCalc is a Mesopotamian calculator. People interested in Mesopotamian mathematics can use it to compute with integers in sexagesimal place-value notation. See the note about the sexagesimal place-value notation (SPVN) and the bibliography below. The present webpage is the program itself. Its latest version can be found on the official MesoCalc page. You are free to download this page, use it offline on your own computer or smartphone, modify the source code, and even redistribute your modifications under the terms of the GNU General Public License (see the license below). This program was written in 2013 by Baptiste MÉLÈS (Archives Henri Poincaré, Université de Lorraine) with the scientific assistance of Christine PROUST (CNRS, Université Paris-Diderot) in the framework of the SAW Project (Mathematical Sciences in the Ancient World), headed by Karine Chemla (CNRS, Université Paris-Diderot). If you see bugs or want new features, please contact Baptiste Mélès. Measuring units: add lengths, compute brickage and carriage (nalbalum and nazbalum). Le gisement de Cuciurpula s’étend sur une superficie de 10 hectares, à cheval sur les communes de Serra-di-Scopamène (A Sarra di Scopamena) et de Sorbollano (Surbuddà), en Corse-du-Sud, dans un étage altimétrique compris entre 900 et 1080 m constituant le versant méridional de la Punta di Cuciurpula (1164 m), relief considéré comme le belvédère stratégique des montagnes de l’Alta Rocca (centre sud de l’île) et des chemins de transhumance traditionnels menant aux hauts plateaux du Coscionu. The ancient city of Kish was occupied from at least as early as 3200 B.C. through the 7th century A.D. Located on the floodplain of the Euphrates River eighty kilometers south of modern Baghdad, the city held an extraordinary position during the formative periods of Mesopotamian history. At that time, it seems to have been the only important city in the northern part of the alluvium, while there were several major centers in the south. The ancient Mesopotamians regarded Kish as the first city to which "kingship descended from heaven" after the great flood that had destroyed the world. During the third millennium B.C., rule over Kish implied dominance over the entire northern part of the plain, and the title "King of Kish" bestowed prestige analogous to that of the medieval "Holy Roman Emperor." From 1923 through 1933, joint archaeological expeditions of The Field Museum of Natural History and Oxford University explored many of the twenty-four-square-kilometer site's forty mounds, uncovering significant evidence of Kish's extremely early urbanization and its prominence as a dominant regional polity. However, no final site report of the work of those seasons was ever published. 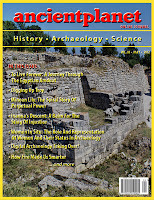 This website details the history, progress, and future prospects of the Kish Project, a federally funded effort to virtually reconcile and publish, in both print and digital formats, the expansive—and divided—collection of ancient material culture from the Mesopotamian city of Kish.